Click the button below to add the African American Hair Shampoo #African American Natural Hair Shampoo# to your wish list. Specially formulated for the needs of African Americans with nutritive hair, this ultra-rich, creamy and moisture replenishing shampoo restores vitality to your nutritive hair. Immediately feel the difference as a luxurious lather delivers botanical nutrients that are easily absorbed, adding shine, strength, and softness to your locks. Hibiscus and Marshmallow extracts assist with detangling and have emollient properties to leave hair sleek and smooth. Hair is restored from the inside out as Kokum Butter and Castor oil penetrate to deliver rich nutrients that seal moisture in to smooth dry, coarse hair, adding luscious shine. Gentle enough for daily use, this African American Hair Shampoo deeply nourishes, leaving hair healthy, manageable, and silky soft with radiant shine. Hair shine is vibrant, nutritively detangles, controls frizz, strengthens hair, and helps prevent damage. 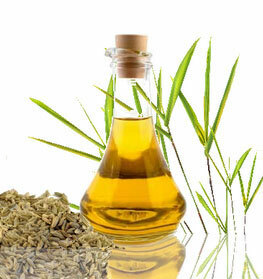 Castor Oil has omega-6 essential fatty acids responsible for healthy hair. It also helps reduce split ends and controls hair breakage while conditioning and moisturizing your hair. Castor oil does not only coat the hair strand but enters the cuticle, directly delivering its numerous minerals and nutrients, thus guaranteeing long-lasting hydration and nutrition to both hair and scalp. Hibiscus extracts have been used in India since ancient times for hair care. According to some, hibiscus is very effective in boosting hair health, and it acts as a nutritive emollient. Marshmallow Root extract is composed of polysaccharides, which are film-forming polymers when applied to hair. It has emollient properties and can help with detangling as well. Aloe Vera has been used as a treatment for dandruff, promotes strength and adds shine to dull, dry, and frizzy hair. 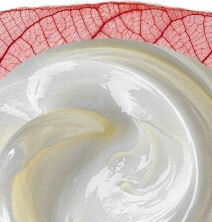 Mango Butter has moisturizing qualities that hydrate and nourish weak, dry, and brittle hair. Kokum Butter and Coconut Oil are quickly absorbed emollients, rich in vitamins A, B, C, and E and nourish and protects your nutritive hair while adding hydration. Naturally scented with pure Orange Peel Oil with a hint of Peppermint and Rosemary make for a crisp, clean, refreshing, aromatic and cleansing experience. "Did you know that rinsing your hair with bottled water is best? Most water has hard minerals in it which accumulate on your freshly washed and clean hair. Using pure bottled water helps your hair be the best that it can!" • To preserve moisture, seal hair with your favorite oil. • Deep conditioning is essential for maintaining moisture in hair. Try deep condition either once weekly or biweekly. • Try to limit shampooing to once or twice a week. • For shinier, softer hair, check out our Leave-In Conditioner or Nutritive Hair Detangler. I've been using your products for a few months now. I have the shampoo and conditioner for nutritive African American hair. I have some gray hair and your products have been great. The size is worth the price too. I shampoo only once as suggested and it really does the job. The conditioner is great too. What I really really am happy about is your cuticle and nail serum. Due to menopause my nails were splitting and were very weak. After using your serum for just a couple of weeks my nails have improved 100%. I love your facial serum also. Thank you for such a great line of products that are true to the cause. I tried these nutritive products because my hair was burnt from using relaxers and flat irons. after using the product my hair has become fuller and has grown. This is a must have for damaged hair. I would definitely recommend this product to everyone. This black hair shampoo stopped breakage, it shines, and I will never use anything else on my hair. I just love the products! My hair is the best it has ever been! I love this botanical shampoo! It makes my hair feel so smooth and healthy. And, it is so thick. Feels good in the shower too. Great scent. People have been complimenting me all day! This shampoo and treatments do what is says it will do. My hair feels soft and healthy after using this nutritive shampoo and conditioner. I have done a lot to my hair and it was in bad shape, but since I have been using these products, my hair looks and feels so much better. These nutritive products for African Americans truly saved my hair. After a bad experience with a perm, my hair was severely damaged. My stylist suggested these and I now have beautiful healthy hair. Recommend to everyone with relaxed hair. I must say your products, especially shampoos, are so silky smooth that I wish I could drink them so it could oil my bones and could move like a 20 year old again. HaHa Thank you again. I love your shampoo gives my hair just the right amount of moisture and leaves it shiny and manageable. I used this for the first time after swimming and my hair has never felt better! It moisturized a lot better than my old shampoos! This shampoo is great! Ever since I used the product I don't use anything, noting but JustNatural. GREAT product. My daughter don't use nothing but this, loves it to. I like this shampoo because it has no chemicals and makes my hair feel conditioned. It makes my hair soft and shiny too. I feel like I don't need a conditioner after but I use the conditioner anyway.